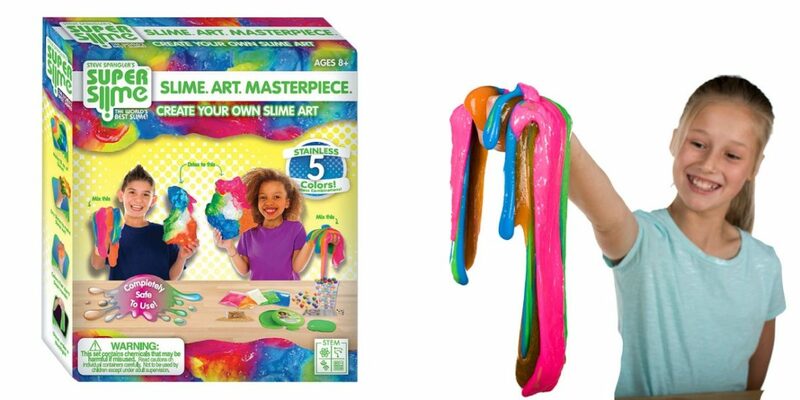 Slime Art Masterpiece Kit | Happy Up Inc. Mix up an ooey-gooey slimy sensation! Spangler Super Slime is some crazy stuff. 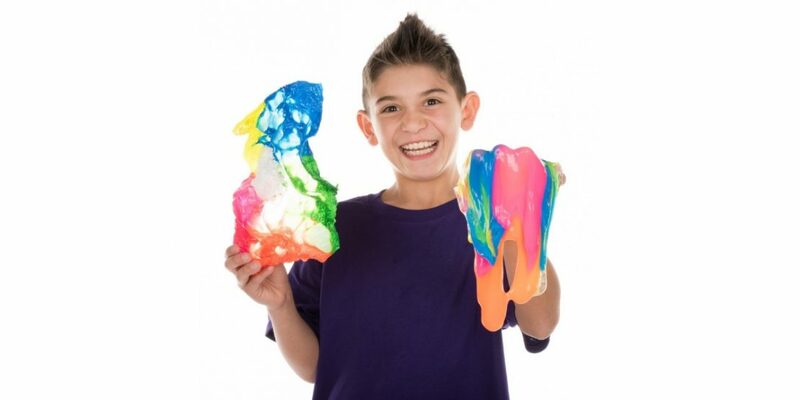 It doesn’t use glue, is non-staining, and has some seriously stretchy stringy goopy properties. It’s a hands-on science experiment with polymers! Want to create a magical piece of art? Take your puddles of goo and allow them to solidify on a clean surface (this will take several days, so the kitchen table may not be the best spot). 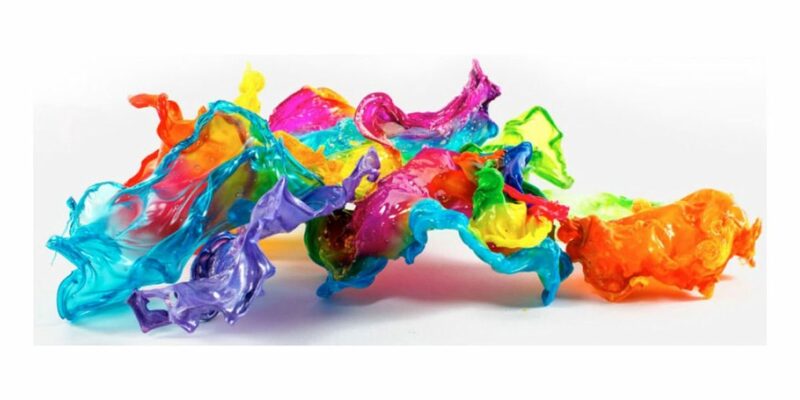 Once they’re mostly dry, you can ripple, twist, curl, and wave it into an amazing work of art! Sign up to hear about our favorite toys, games, upcoming events, coupons and sales!